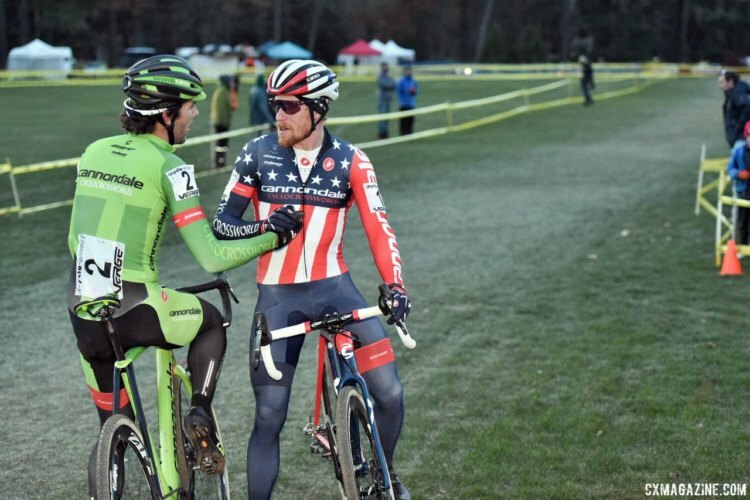 NORTHAMPTON, Mass.—The Verge Northampton International presented by Cycle-Smart was dominated by the riders of Cannondale p/b Cyclocrossworld.com. Emma White rode away with the Elite Women’s race early. 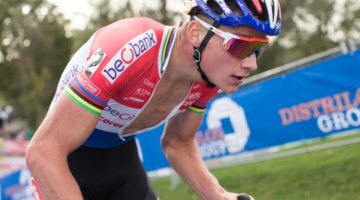 Curtis White would narrowly beat teammate Stephen Hyde in a sprint to the line for the Elite Men. The Look Park venue featured fast, flowing turns, technical chutes and classic rooted New England terrain. 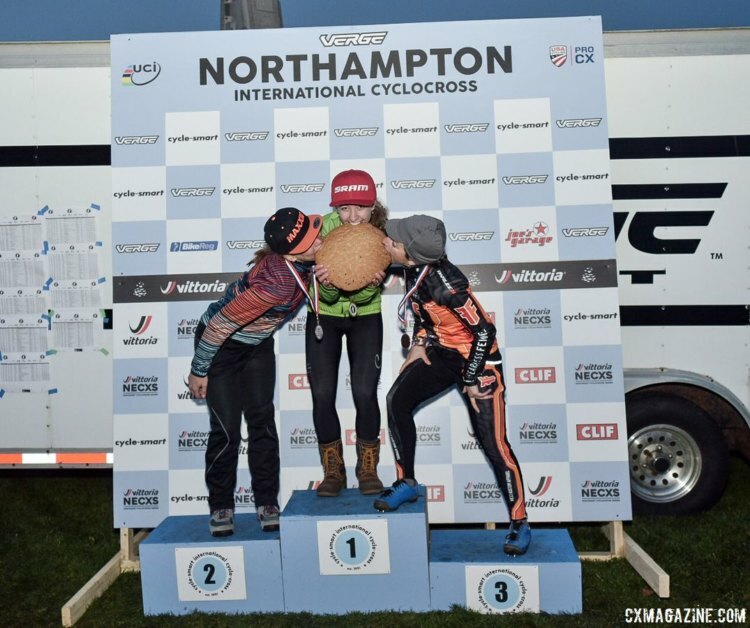 Athletes faced frigid temperatures and changing conditions throughout the day on Saturday, which would be the 27th year for the Verge Northampton International, the oldest UCI cyclocross race in the U.S. 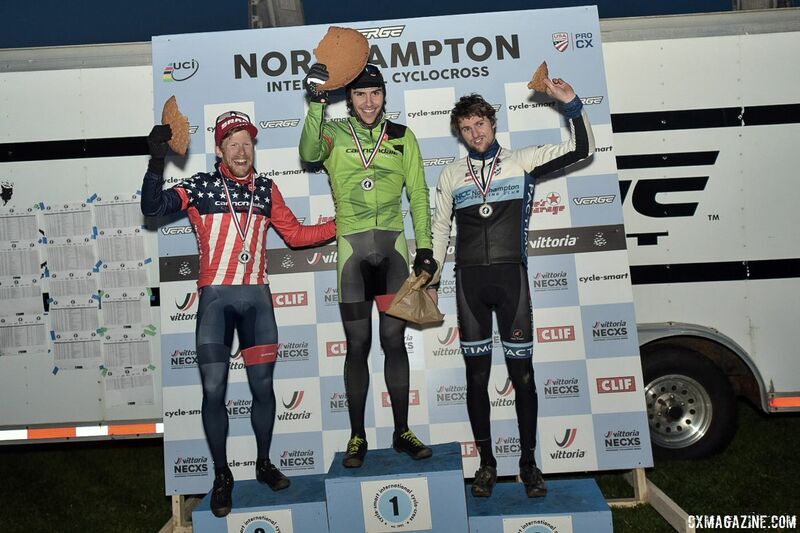 Both elite races awarded points of the third of eight races in the Vittoria Northeast Cyclocross Series presented by Clif Bar and Cycle-Smart. In the Elite Women’s race it would be Emma White in control from start to finish. The Delanson, N.Y. native would drive the pace making her escape early on lap two. 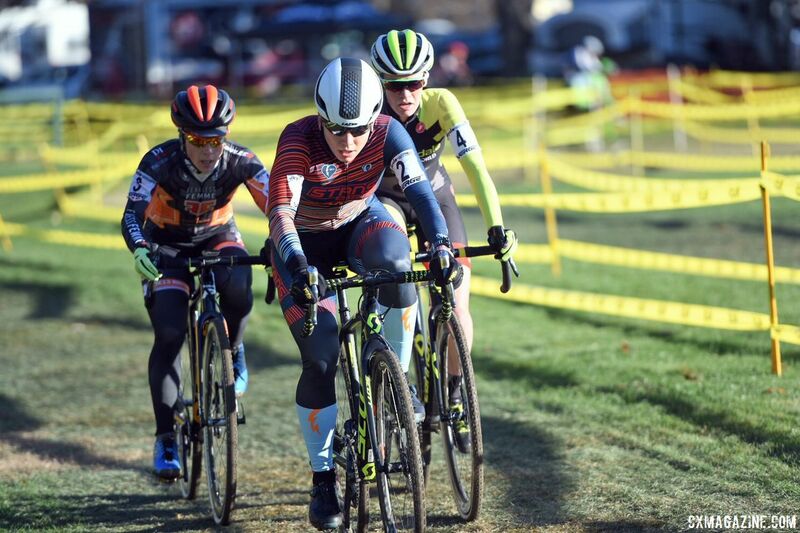 Fahringer would hold off two charging riders, 33-year-old Arley Kemmerer (Fearless Femme Racing) of Palmerton, Penn. 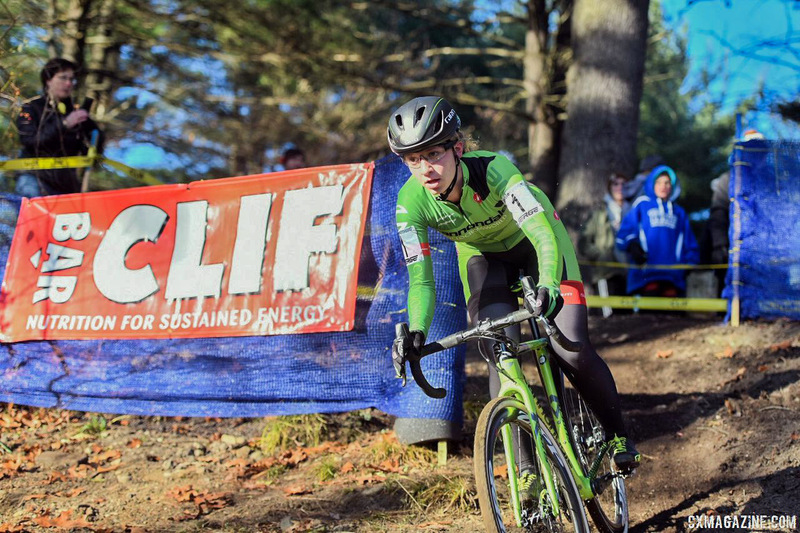 and 18-year-old Canadian Ruby West (Cannondale p/b Cyclocrossworld.com). Kemmerer got the one-second advantage over West to secure third place. 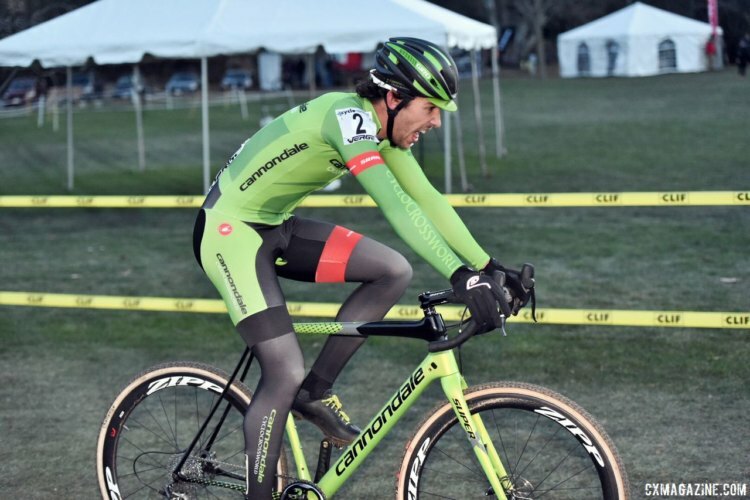 The Elite Men’s race would also be controlled by the Cannondale p/b Cyclocrossworld.com duo of reigning National Champion Hyde and teammate Curtis White, who won both days of Northampton in 2016. The duo rode away from the competition early and would work together for the majority of the race. The final spot on the podium was taken by another New Englander, Jack Kisseberth (JAM Fund / NCC) of nearby Westhampton, Mass. taking a three-man sprint. He edged out Justin Lindine (Apex/NBX/Hyperthreads), and Anthony Clark (Squid Squad) followed one second behind for a close fifth. The Northampton International returns for Day 2 on Sunday. Slightly higher temperatures are forecasted.